What Does a Cardiac Stress Test Show? Could a stress test benefit your health? For many aging adults, a stress test is a great way to learn how well the heart is working. A series of tests tell the doctor how well the heart is pumping blood and how well the organs surrounding the heart is performing. The tests that are conducted cause the heart to work harder, which alerts the doctor to changes that could be a sign of trouble. There are two types of Mesa cardiac stress test options the doctor may perform. The standard stress test is used by most patients. This test includes a variety of tests that evaluate the heart’s health, such as walking on a treadmill, a blood pressure check, breathing test, an echocardiogram (EKG,) and other tests as determined by the doctor. 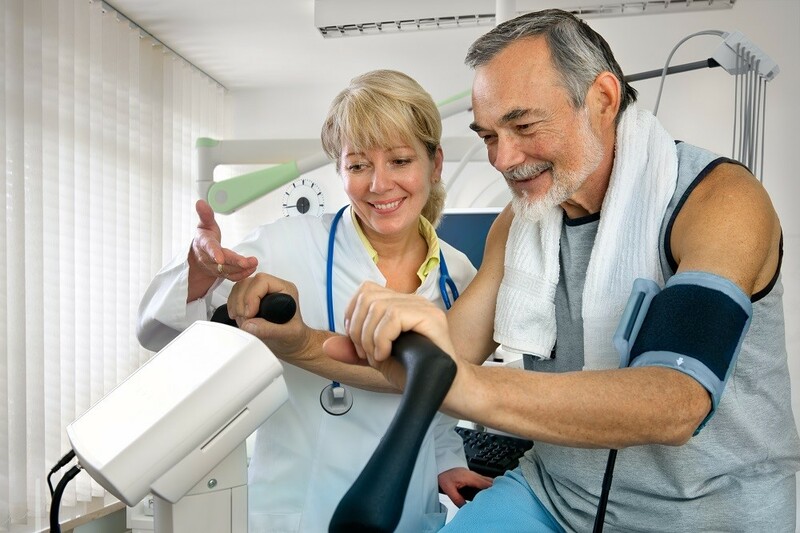 An abnormal stress test is one that reveals abnormal activity in the heart’s electrical system. It can also reveal a variety of information that allows a doctor to pinpoint risk factors for certain heart conditions, such as artery diseases or high cholesterol. The Imaging Stress Test takes pictures of the heart while you exercise and again when you are at rest, alerting the doctor to functioning of the blood flow through the heart. Schedule a Mesa cardiac stress test to protect your heart health and enjoy unsurpassed peace of mind that you are healthy, or the knowledge needed to begin protecting your heart health based upon the findings of the stress test. A stress test can reveal vital information about your heart that keeps you protected. A consultation with C.A.I., A Cardiovascular and Arrhythmia Institute, is one of the best steps you can take to better your heart health and find out important information before it has the chance to cause problems in your life. Contact CAIAZ's Mesa cardiology clinic to schedule an appointment. We have a central schedule number for all our offices in Arizona. Call us at (480) 889-1573 to schedule your appointment today!